The prominent Hofmeyr Hall in the town centre of Stellenbosch, was once again the chosen venue for one of the ICA’s yearly calendar highlights: Graduation 2019. Students from the Institute of Culinary Arts attended the event with their families on a beautiful, crisp autumn evening, enjoying sparkling wine and canapés prepared by the current 1st years before the formalities started. A special treat was tasting the very same prosciutto upon its maturity in the campus wine cellar, that was cured by thís group of graduates during their Advanced Cooking training period at the ICA 18 months ago! Guest speaker, Chef Léta du Toit-October, reminded students of the importance of salt – as in culinary arts, as in life – and used this as a metaphor for refining personal characteristics that are essential for professional success. To the class of 2018, Chef Du Toit-October said “you are the salt of the earth – be the humble, but essential mineral, the ‘white gold’, the chemical reaction that suppresses bitterness and brings out the sweetness, the ingredient that no kitchen can be without”. The motivational speech delivered by ICA alumni and senior cooking lecturer, Pierre van Zyl, shared his personal industry advice to the newly graduated chefs, emphasizing that they now have a responsibility to give back and eventually step into the role of being mentors to others as part of the larger ICA fraternity. 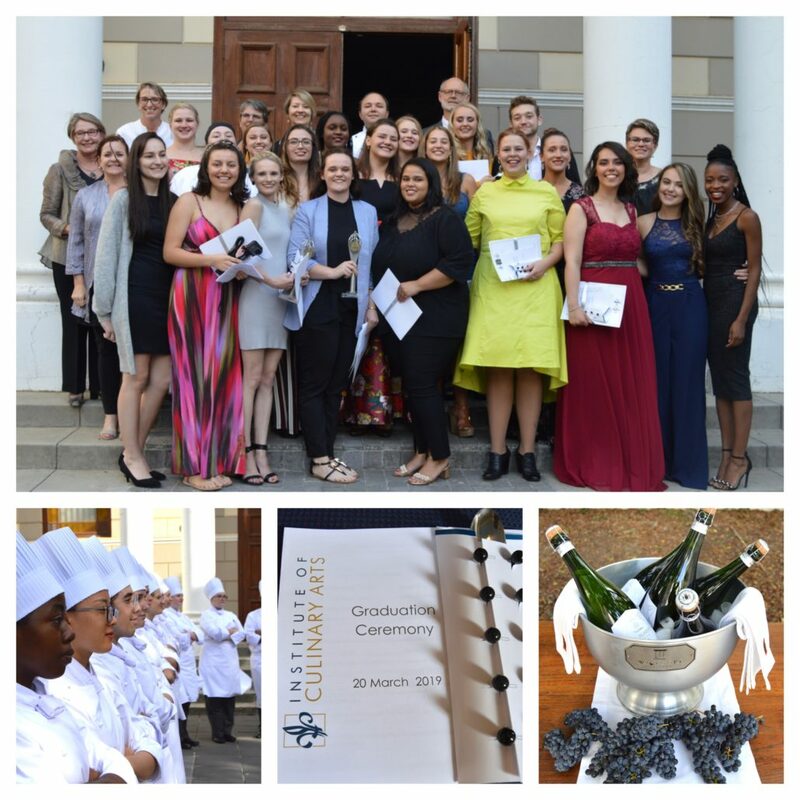 Graduates received their respective ICA and City & Guilds International qualifications and are now armed with the best culinary stamp of approval South Africa has to offer! The ICA will be following their individual careers closely and look forward to celebrating many more accomplishments and accolades with yet another group of talented young culinary professionals.